‘World Gibson Martini Day?’ we hear you ask. Indeed, what is a ‘Gibson’ martini? Dry, yes. Vesper, yes. Dirty, yes. But ‘Gibson’? 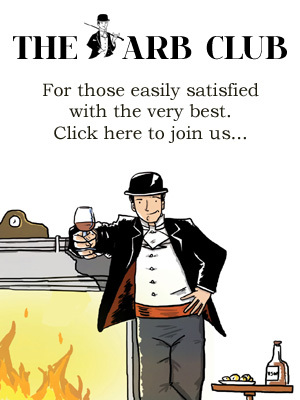 It is, dear reader, a once forgotten classic, now reprised in The Gibson Bar in London’s Old Street, and it is no hyperbole to say it is one of the world’s best – the bar, that is (and, indeed, the martini, to warrant it getting its own ‘day’). Founded three years ago by master mixologist, Marian Beke, The Gibson is an Edwardian time machine transporting guests through the early 1900s, with art-deco inspired interiors and tantalising menu of inventive cocktails. An internationally acclaimed bar, in its short life to date The Gibson has consistently featured in the World’s 50 Best Bars, ranking number 6 in 2016, and last year also won the prize for Best New European Bar at the Mixology Bar Awards. Quite the pedigree already, then. And what about the martini? With origins as mysterious as its perfectly pickled garnish, the Gibson Martini can be traced back to the early 1900s at Players Club in New York City where artist Charles Dana Gibson allegedly challenged bartender Charles Connelly to make a new variation on the classic Martini. His signature twist was to replace the olive with a silver onion, a move that consecrated the Gibson Martini in the annals of cocktail history. Such is Marian’s passion for this Edwardian libation, that over a century later, he even names his new bar in honour of the forgotten cocktail, reaffirming the serve once again as one of the most popular classics in the world. The bar’s art-deco influenced interiors act as a portal back to the indulgent days of the early 1900s making it the perfect setting to sit back, sip and savour the delights of the Gibson martini. We certainly will, Marian. Chin chin! The inaugural World Gibson Martini Day takes place at The Gibson Bar, Old Street, London on Tuesday 20thNovember 2018. More importantly, Gibson martinis that day will be served for just £1, so there’s every reason to pop along, try one and raise a glass to this piece of history. For more information, visit www.thegibsonbar.london. Method: Pour all of the ingredients into a mixing glass, add cubed ice and stir for around 30 seconds to achieve the desired dilution. Strain into a chilled cocktail glass. Thread the onion onto a cocktail stick and use to garnish the drink. For more information about Copperhead Gin, visit www.copperhead.be.